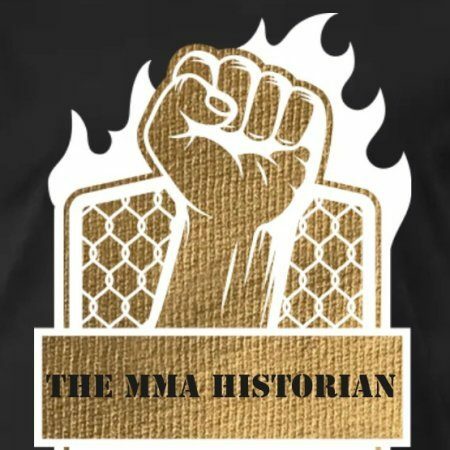 Comparing someone like Jon Jones, Daniel Cormier, Anderson Silva, George St Pierre etc…; who defending their titles multiple times and help their belts for years equal defending your title once against the man you won the title from to begin with. I have nothing against TJ Dillashaw. But I also watched him get destroyed by John Dodson on the Ultimate Fighter; but I know he is a lot better fighter now than he was. But I just could not put him on the level of these greats. I mean they wanted to have a Champion vs. Champion fight between him and one of the GOAT Demetrius Johnson. Who has been fighting for so long now and is still at the top of the rankings. A man who destroyed Dodson and 11 other fighters, including who he lost to last night. I’m really becoming confused by how the UFC works now. I get that it’s a business but you are taking away what some of these other fighters have accomplished for years before TJ was even in the UFC. No doubt he is a very talented fighter but what I saw last night is over a decade of fighting catching up to one of the best fighters of all time. DJ did not look like the Mighty Mouse from before and if that’s the fight Dillashaw wants; Im losing respect for him. People forget all the years DJ fought in the Lightweight division before they added all these new divisions. I mean maybe Mighty Mouse just had an off night who knows; even though he lost by one point on all the judges score cards and still did not look at his best. The UFC is really changing how they chose their fights but I just hope that once all these interim belts and fights that are all about money are done that they go back to choosing who fights each other based on who’s next in line or who deserves the shot the most. Again I am not trying to take anything away from TJ Dillashaw. He is an amazing fighter and one of the best. I just think he needs to defend his belt more before looking for that Super Fight. I mean the difference between Conor was he knocked out the unbeatable Jose Aldo who was the only Featherweight champion ever. As well as he fought a few opponents before that fight as well including Chad Mendes who gave Aldo trouble in their two fights. Then went on to fight Nate Diaz twice and then fought Aldo. I understand he did not defend his belts but he helped the UFC grow to the level it should have been at before and also was taking ever fight in between. As well as the fact that; nothing against Eddie Alverez the Philly Native and one of the best fighters in the world, did not defend and win his title 11 times before facing Conor. Especially after watching that fight should have showed you he deserved to fight for that belt after his amazing performance against another one of the greats. I’m just saying that TJ has not defeated fighters as of right now that are in the talks among people as being the GOAT of their weight division like for example Demetrius Johnson is. PreviousI’m working on a new project and any help I can get to launch this would truly be appreciated, involving mental health and addictions. NextI have started a new website dealing with Mental Health and Addictions.